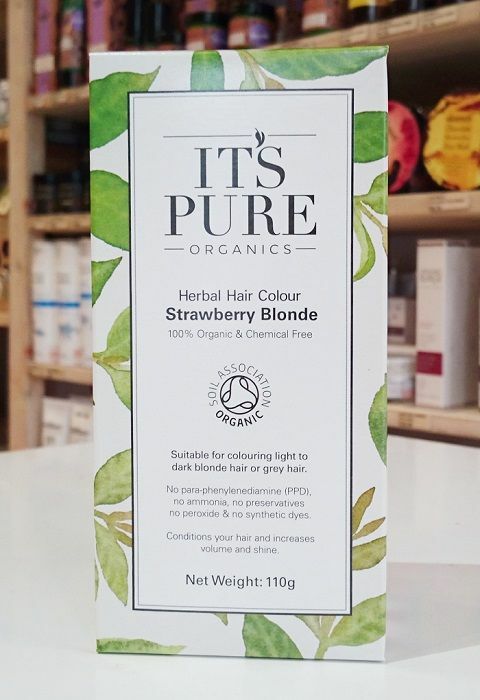 It's Pure Organics Organic Strawberry Blonde Henna Powder is suitable for blondes who want to enrich their hair with a beautiful Strawberry Blonde tint as well as give their hair radiance and boost the volume of their hair. 110g pack is enough for average shoulder length hair. If your hair is thick you will need more, or if it’s fine or layered you’ll need less. 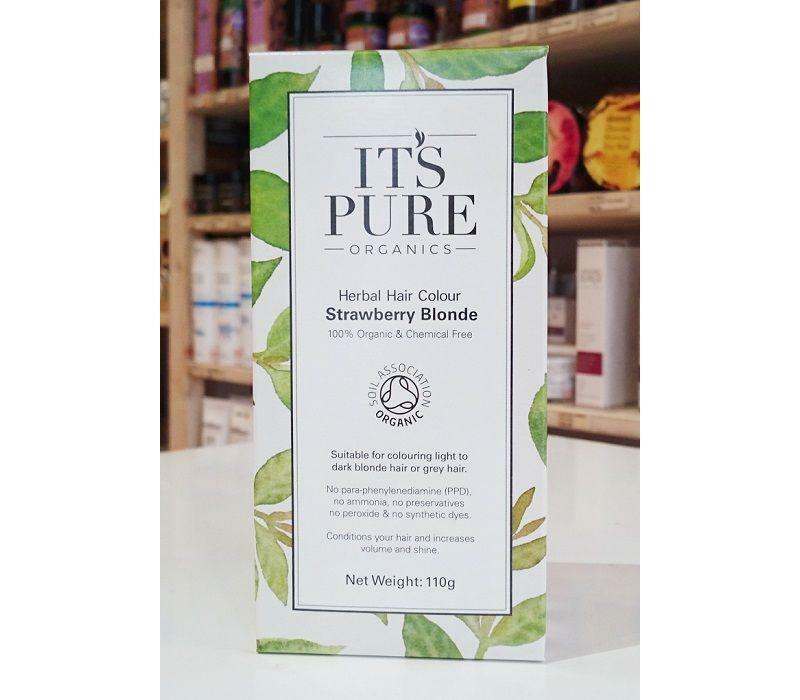 Strawberry Blonde Henna Powder is suitable for light blonde to dark blonde hair and grey hair or blonde hair with stripes of grey. It will not lighten your hair so won't work on dark hair. Because everyone's hair is different in terms of their initial hair colour and their individual hair structure and chemistry and will take the colour slightly differently. It is impossible to precisely predict the colour outcome. For this reason, we recommend strand testing before putting the colour all over your hair. Mix the powder thoroughly with warm water to a smooth paste. Apply the paste to your hair in sections and leave on for 1.5 to 3 hours. The longer you leave the paste on your hair the darker the colour result will be. 100% Organic and Chemical Free. INGREDIENTS: Lawsonia Inermis (Henna) Powder*, Cassia Auriculata (Cassia) Powder*, Emblica Officinalis (Amla) Powder*.